The 2018-2019 season of the Fargo-Moorhead Symphony Orchestra’s Masterworks series is underway. After a breathtaking first concert of the season featuring not one but two world-renowned soloists, the second will be bringing in one of its own. What makes this particular concert and soloist interesting is that it marks a first for the FMSO. 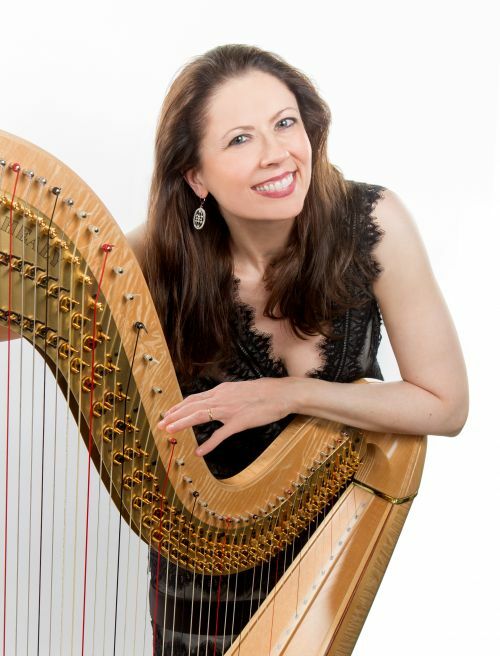 “To my knowledge we have not had an internationally renowned harpist as a guest artist before,” said Linda Boyd, executive director of FMSO. Naturally, with such a renowned harpist visiting as a guest artist the concert will feature pieces that showcase her instrument of choice. The concert will begin with the Second Movement of the Concerto for Flute and Harp by Wolfgang Amadeus Mozart, a composer who needs no introduction. This piece will also feature FMSO’s talented principal flutist Debora Harris. While it is not one of his more performed compositions, Boyd said that it, along with the other pieces to be performed, are “real musical gems”. The second piece of the evening is the regional premiere of a new harp concerto co-commissioned by the Fargo-Moorhead Symphony Orchestra along with the Baton Rouge Symphony Orchestra, the Rochester Philharmonic Orchestra, the Harrisburg Symphony Orchestra, the Lansing Symphony Orchestra, and the Oklahoma City Philharmonic Orchestra. The piece is composed by two-time Grammy and Pulitzer Prize winner Jennifer Higdon, who is one of the most performed living American composers working today. Higdon herself dedicated the piece to Kondonassis. Critical reviews of the piece from its world premiere earlier this year are already highly favorable. As always, those who show up at least 45 minutes before concert time will be able to sit in on an informal pre-concert talk adjacent to the lobby. During intermission and after the concert Kondonassis will be selling recordings of her music as well. Those who are interested can also attend Urban Overture at the downtown Radisson on Wednesday the week of the concert. Kondonassis will be performing at Urban Overture as well, “which will be an amazing opportunity to hear a world-class artist performing on this incredible instrument,” said Boyd. That event is free to people in their 20s and 30s and an excellent idea for a date night. “It’s a good thing music doesn’t contain calories-because there is a LOT of rich and delicious fare on this concert program,” said Boyd. Excellent music isn’t fattening so one might as well indulge themselves, and the F-M Symphony Orchestra is an excellent place to do so.